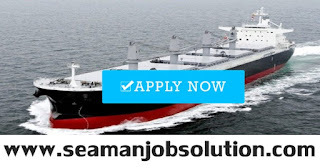 SEAMAN JOB INFO - C.S.C Manila, Inc. 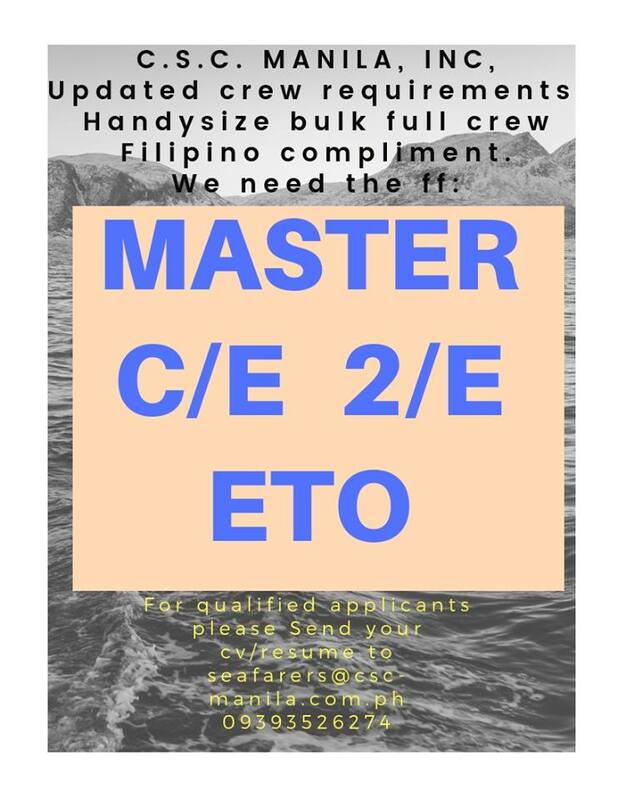 Updated hiring crew requirements handysize bulk carrier ship full crew Filipino compliment for deployment November - December 2018. 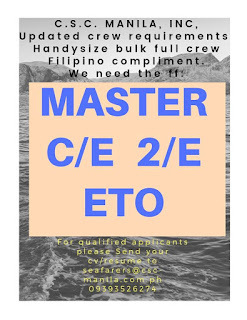 For qualified applicants please send your Cv/Resume to seafarers@cscmanila.com.ph / Tel. 09393526274. 0 Response to "Master, Chief Engineer, 2nd Engineer, Electrician For Handysize Bulk Carrier Ship"